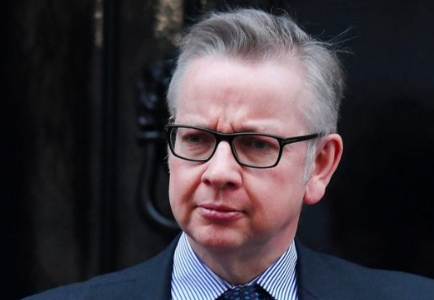 Even outside of the world of politics Michael Gove is famous for ending Boris Johnson’s leadership hopes after the Brexit referendum in one of the most dramatic u-turns in political history. His fame for this act of *insert your view – is it treachery or public service – I know where I stand* – will never be eclipsed whatever he does in his political career. But he should be known for something else. He should be famous for being the most articulate, interesting and engaging media performer of this current political age. He is the best political communicator in parliament and is only – in my view – bettered in the last twenty years by Tony Blair and Nick Clegg. Time for a disclosure. I voted Remain. I found Mr Gove arrogant and at times (often) self important and smug – but – when I look at how he communicates, he stands out from the political crowd. He has replaced Michael Fallon – hands down, if that’s not an unfortunate choice of phrase given his ugly comments and behaviour – as Minsietr for the Today Programme. For once, by this government and this prime minister, a good choice. Why is he so good? Four reasons. Firstly, he sounds like he is happy to be there. He relishes the battle. He demonstrates, energy, enthusiasm and confidence. He doesn’t sound like he would rather be anywhere else – which is most of John Humphrys companions sounds each morning. Secondly, he is prepared for anything. He never hesitates. He never sounds taken off guard. He is ready for whatever is thrown at him. He has something of the Mrs Thatcher about him – that ability to never seem flustered or surprised. Thirdly, he walks the line between technical, detailed information – necessary often in political interviews to pass the “is he on top of the brief” test but also uses simple, clear language. He is use friendly. Fourthly, he isn’t boring. At all. There are times when he may be advised to a little less interesting – leave the jokes for home Michael – but he is worth listening to – he keeps your attention. He speaks to his audience. He cuts through. This is not a blog post which is blind to Mr Gove’s weaknesses – and his questionable choice of allies and messages during the EU referendum – but it is a post from someone who is obsessive about great communications. Whatever you think of Mr Gove – whatever your view of his views – he is a great communicator and that is one of the main reasons he is back in government and will be on our radios for a long time to come. If you get chance to contrast his performance on Radio 4 yesterday with Andrea Leadsom’s this morning you will see what I mean. Chalk and cheese. Day and night. Very good and very, very bad.